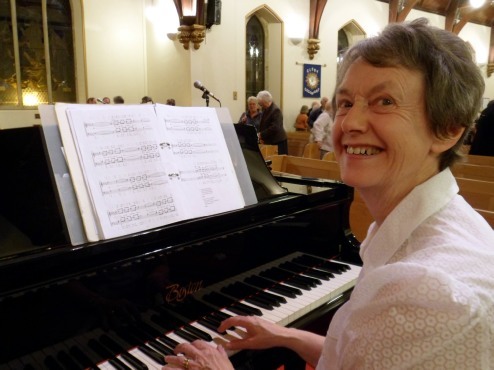 Joyce Davies, our accompanist, is a native of Adfa near Llanfair Caereinion. She now lives in Oswestry. Twice winner in the piano solo at the Urdd National Eisteddfod. Joyce went on to qualify as a Teacher. She studied at the University of Wales College of Education, Cardiff. There she gained a Distinction in Advanced Main Music. Joyce holds a Performer’s Diploma. She is also an associate of Trinity College of Music, London. 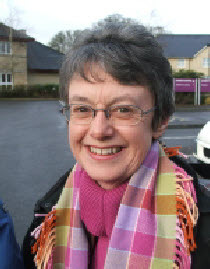 Before joining us she was an accompanist with Colwyn Male Voice Choir for many years. 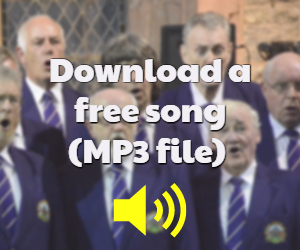 Married to Aubrey Davies, who is a member of the Denbigh and District Male Voice Choir. Aubrey is also the Choir Treasurer. Joyce travels almost 80 miles to attend every choir practice. Moreover, for our summer concerts in St John’s Church, Llandudno the distance is far more. Again this is ample evidence of her commitment and dedication to the choir. She is always ready to help any choir member to become familiar with pieces of music. A good relationship between accompanist and conductor is vital for the good of the choir. 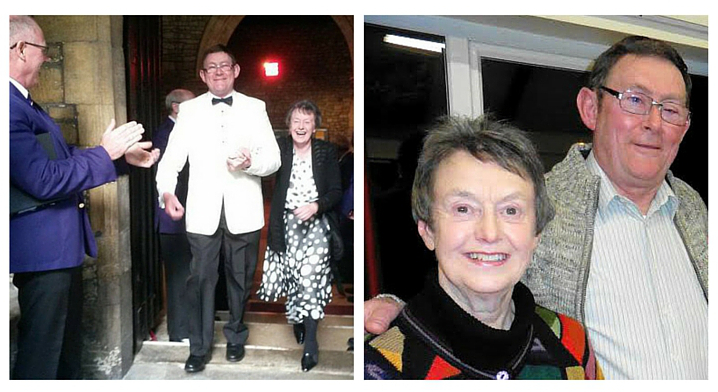 Joyce Davies and Musical Director Arwyn Roberts get on well. Equally they have a good musical understanding and are able to convey this to the choir. Both have endless patience and a good sense of humour. In some of our concerts Joyce also provides the accompaniment for our guest soloists. This means no respite. She will play for the entire duration of a two hour concert. That is a tall order. This demands good concentration, skill and stamina. Joyce seems to have an endless supply and long may it continue. Listen to Joyce’s sensitive accompaniment to the Maori Lullaby, Hine E Hine by clicking on the audio file below. As we say at the end of every choir practice – Thank You Joyce! Footnote: This is an extended version of a Blog previously published on this website – Ed.